dentalmedicaltourismserbia.com reserves the right to cancel membership at any time and for any reason, without having to explain to the member the reason for the membership. A member to cancel membership will therefore have no rights or claims to dentalmedicaltourismserbia.com. dentalmedicaltourismserbia.com can deny a visitor access to the site and, at the same time, does not provide any notice, nor will it have any rights or claims by dentalmedicaltourismserbia.com due to cancellation and in other cases. dentalmedicaltourismserbia.com reserves the right to prohibit at any time the advertising of services, products or groups at its own discretion and without explanation. The site dentalmedicaltourismserbia.com can not be held responsible for the correctness and accuracy of the data on the services on this site, because it is brought by a third party, users, they edit their own page (contact information, pictures, text, logo, banners, all data …). If you feel that your content is abusive or you think someone has misused your information (clinic office, hotel, spa, wellnes), please contact us to resolve any misunderstandings. By visiting and registering on the website dentalmedicaltourismserbia.com you agree to receive offers and action notifications via email, sms, viber, facebook and phone, which will be published on our site. 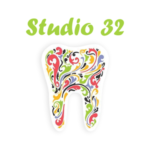 Dentalmedicaltourismserbia.com has the right to add, modify and edit the registered user’s site and has not left the fill in the data (Pictures, Address, Logo …), all in order to present potential patients with complete information about the dispensary they are viewing. 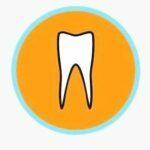 dentalmedicaltourismserbia.com zadržava pravo da otkaže članstvo u bilo koje vreme i iz bilo kog razloga, pritom ne morajući da obrazloži članu razlog izčlanjenja. Članu kome se otkaže članstvo neće usled toga imati nikakva prava ili potraživanja prema sajtu dentalmedicaltourismserbia.com. dentalmedicaltourismserbia.com može otkaže posetiocu pristup sajtu i da pritom ne daje nikakva obaveštenja, niti će imati nikakva prava ili potraživanja od strane sajta dentalmedicaltourismserbia.com usled otkazivanja i u drugim slučajevima. dentalmedicaltourismserbia.com zadržava pravo da u bilo koje vreme zabrani reklamiranje usluga, proizvoda ili grupe po sopstvenoj odluci i bez obrazloženja. sajt dentalmedicaltourismserbia.com ne može biti odgovoran za ispravnost i tačnost podataka o uslugama na ovom sajtu jer ih unosi treće lice, korisnici, oni sami uređuju svoju stranu (kontak informacije, slike, tekst, logo, banneri, svi podaci…). Stim, ukoliko za sadržaj smatrate da je Vaš i da je zloupotrebljen ili smatrate da je neko zloupotrebio vaše podatke (registrovao ordinaciju, hotel, spa, wellnes umesto vas) molimo vas da nas kontaktirate radi rešavanja nesporazuma. Posetom i registracijom na web sajt dentalmedicaltourismserbia.com saglasniste da primate ponude i akcijska obaveštenja putem email-a, sma-a, vibera, facebooka i telefona, koja će biti objavljena na našem sajtu. Dentalmedicaltourismserbia.com ima pravo da dodaje, menja i uređuje stranicu korisnika koji se registrovao a nije ostavio popune podatke (Slike, Adresu, Logo…), a sve u cilju da predstavi potencijalnim pacijentima kompletne informacije o ordinaciji koju pregleda.